T.H. 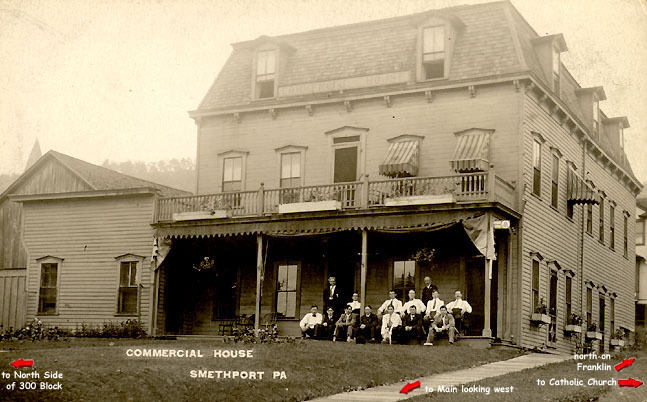 Purtle, hotel keeper, Smethport, was born in Susquehanna County, Penns., in 1854. 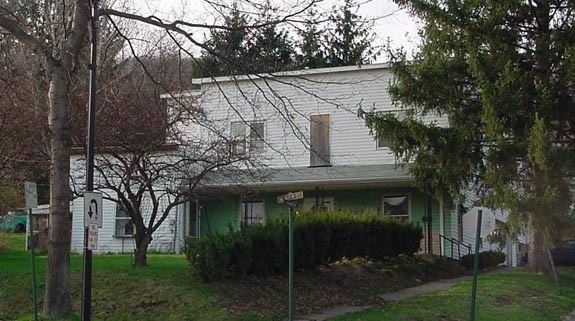 He made his home with his parents until 1877, when he removed to Bradford, McKean Co., Penn., where he was in the oil business for five or six years; then removed to Jamestown, N.Y., and thence to Smethport, where he is now engaged in blacksmithing. He then purchased the hotel Commercial House hotel in the 1890's. In 1879 he married Lizzie McNeely, and they have two children. They are members of the Catholic Church, and he is a member of the Catholic Mutual Benefit Association. In politics he is a Democrat.